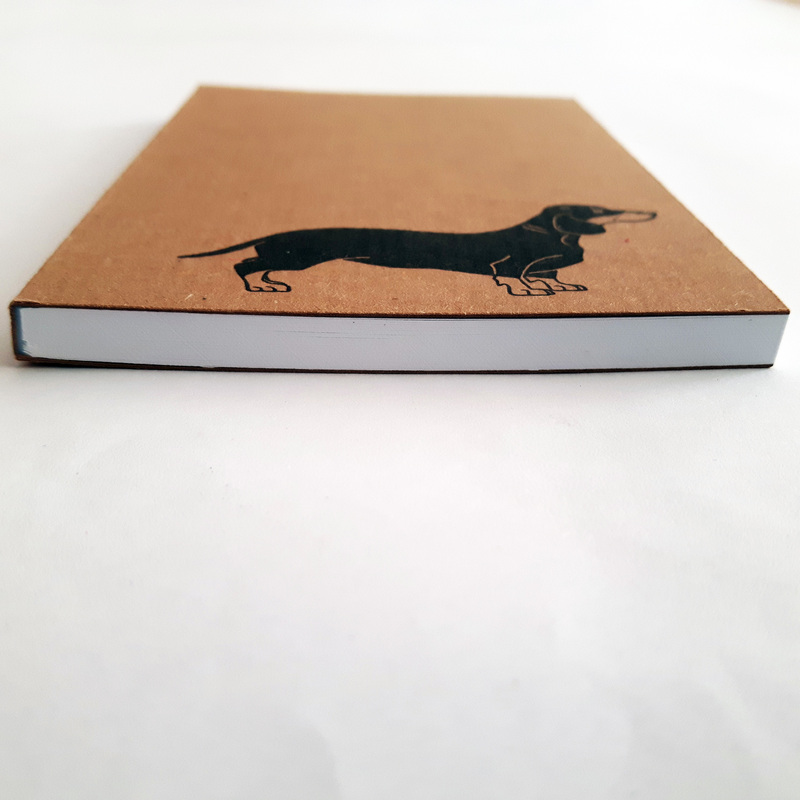 A Sausage Dog notebook – perfect for lists, note and doodles. A cute Sausage Dog notebook, which would make a perfect small gift idea for a dog-loving friend, or just a lovely treat for yourself – go on, you know you want to! 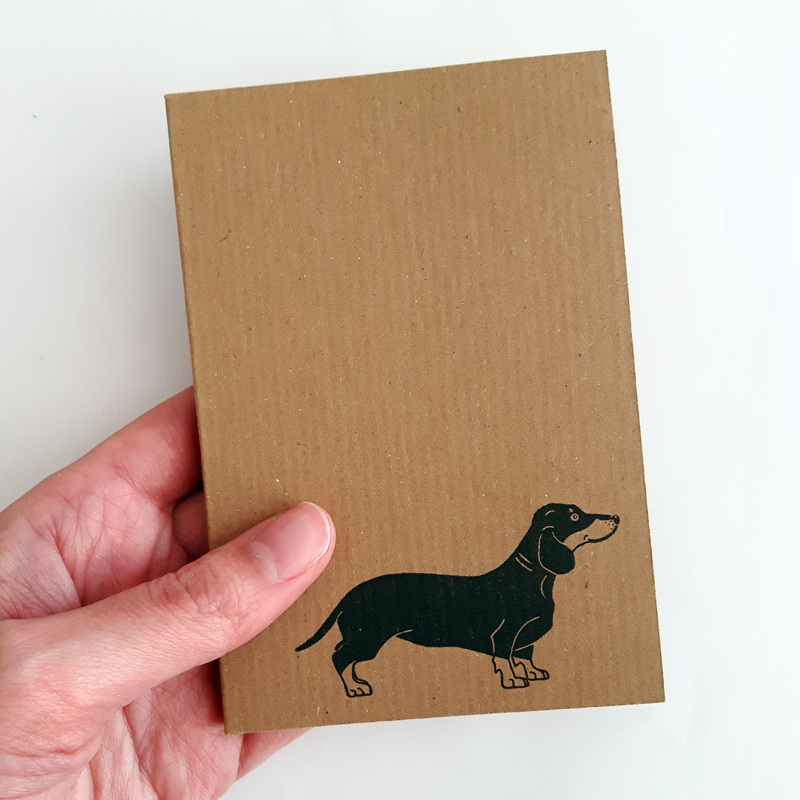 Each of these little Sausage Dog notebooks feature my Dachshund, Teddie; who is printed onto the ribbed kraft cover of each pad, by my own fair hand. 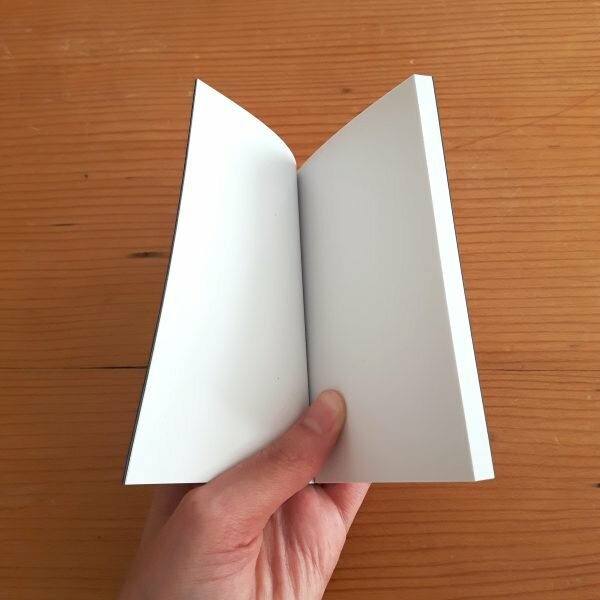 The pads are passport-sized (12cm x 8.2cm), fitting easily in your handbag or pocket. 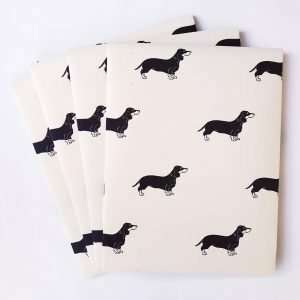 And each pad contains approximately 60 plain, white, unlined sheets – perfect for lots of notes, lists, and doodles! 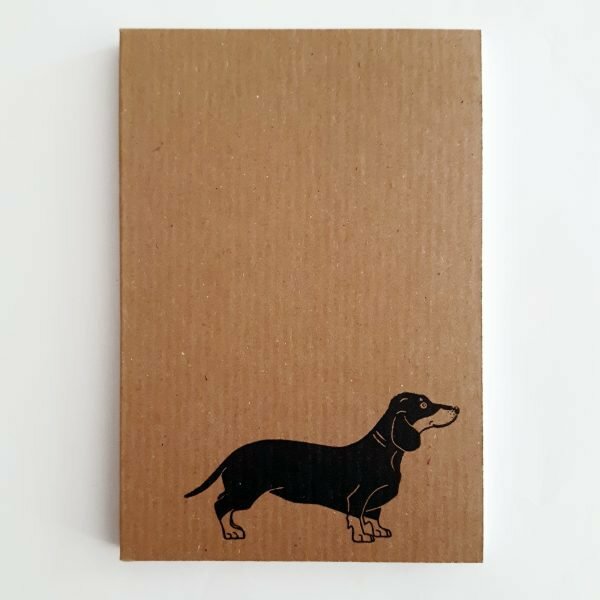 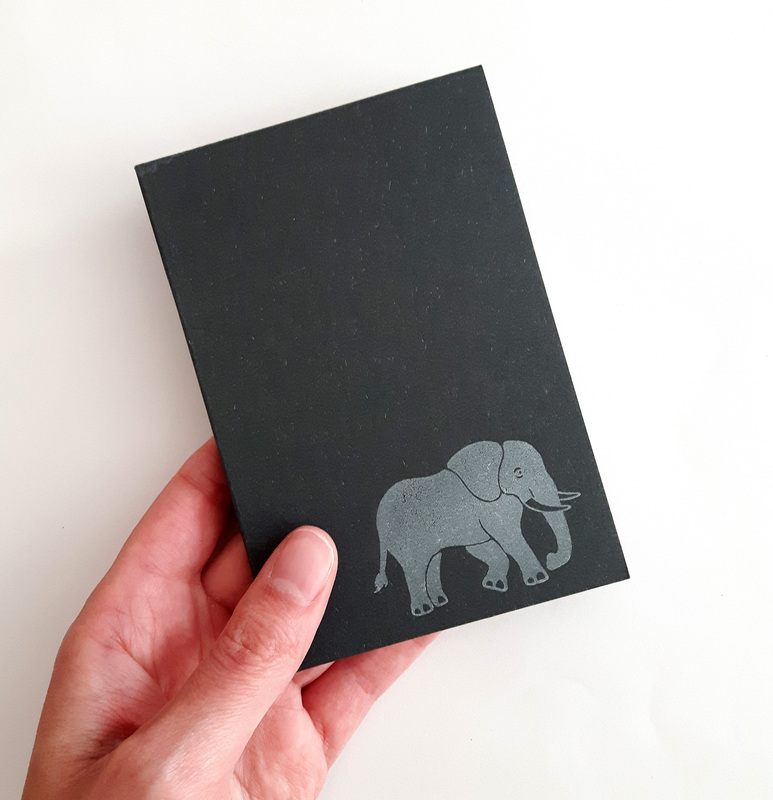 My Sausage Dog notebooks are made from 100% recycled materials – this includes both the ribbed kraft cover, and the white sheets inside. 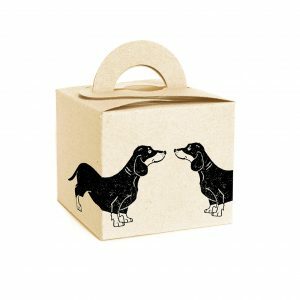 Got a Thing for Sausage Dogs? 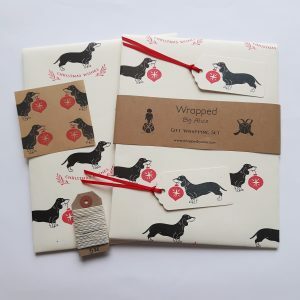 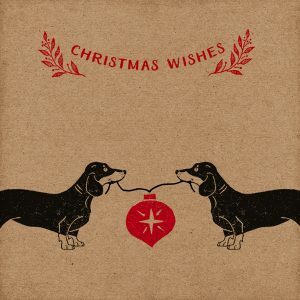 I have loads more Sausage Dog products, including gift wrapping, jewellery and cards. 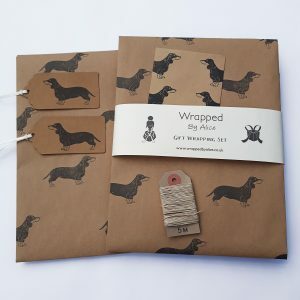 Why not check out the Dachshund-dedicated section of my shop! 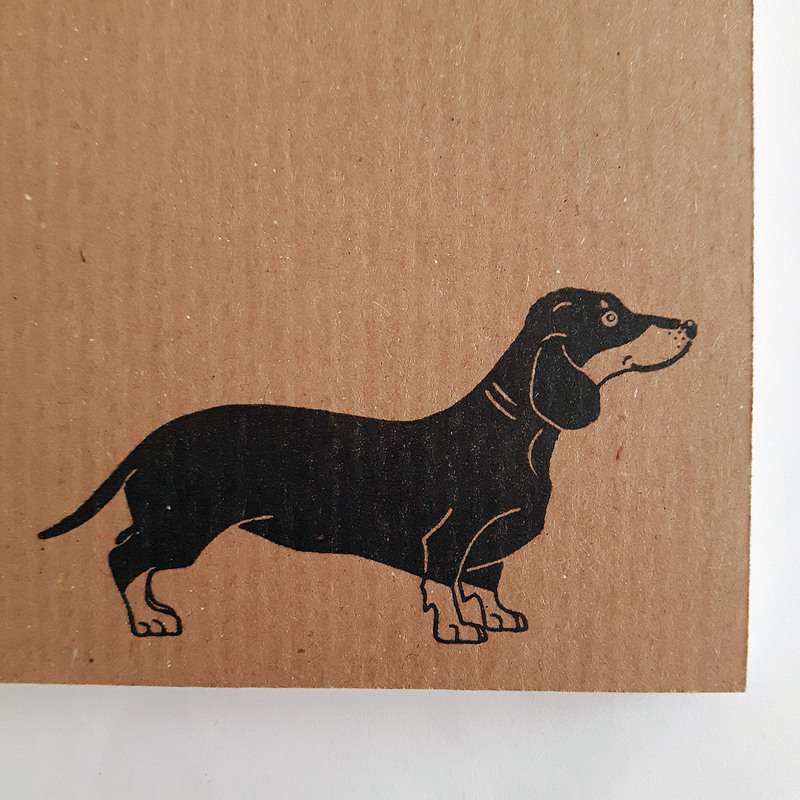 After a different design? 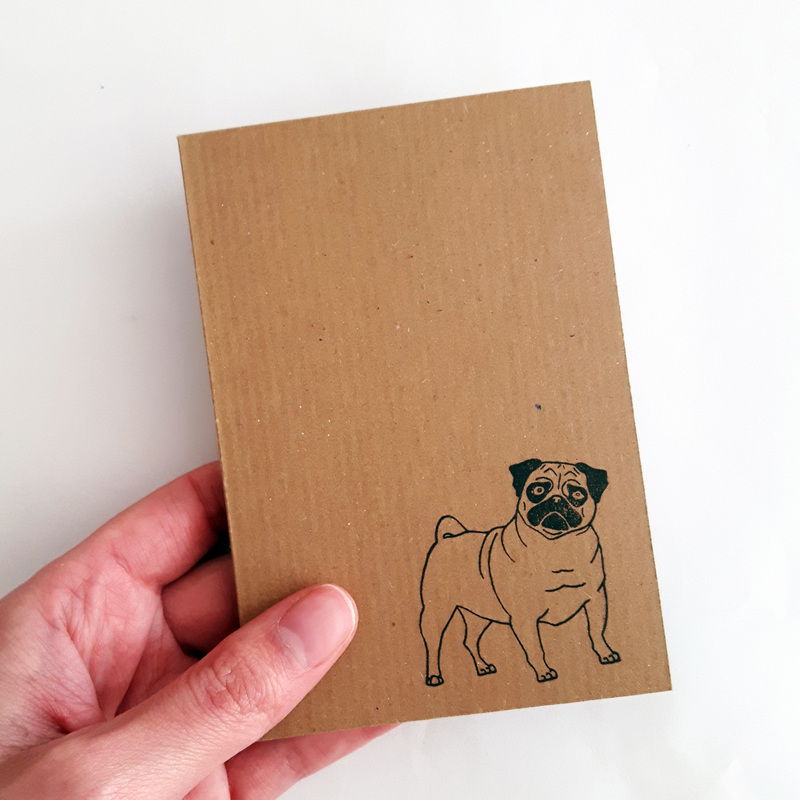 Then check out my full range of notebooks!